Mobile App failure could be the price one pays for underestimating the actually not so good looking task of QA testing. Nevertheless, the one hidden factor that actually separates top Mobile App development companies from other ambitious but not so established software brands is the time and effort they channelize towards testing and quality assurance tasks on their mobile apps. Unit testing refers to practice of testing each and every function, module or class implemented in your code. The best results of unit testing are revealed when developers involved in the writing process perform this test. This is time efficient as no one better than the writers themselves shall be able to debug the mistakes better. Although there are several automated processes to perform this task but once again a human eye produces the best results. Functional Testing as the name might suggest is done with the perspective of testing the app’s functional features. It is in this process that you ensure if the app appears and works in the same way as you imagined. Best results of this app are obtained when this test is performed by the very people who performed the ideation. After this you get this app tested by people who are totally alien to the concept and who honest feedback shall be crucial addressing certain factors that have not been met to satisfaction. This is the part where you test the visual experience and design expectations as implemented by the UI designers behind the app. Besides functionality and core units, UXA is equally important. This part of the testing requires a very keen and experienced eye as UI bugs are very subtle and can go unnoticed in various stages of the process. But nevertheless, it can give a weak impression if any UI bugs are tested while the app has reached its business phase. It can hurt your spirits if all your efforts in functionality and complex coding have been compromised by a small and subtle UI bug that too by someone who is not a part of your app building team. This part of the testing is incorporated when a new feature, functionality or update is added to the preexisting module. This could affect the overall performance and code in terms of speed, flow and responsiveness of the app. Performance testing is once again a combined effort of both unit testers, functionality testers as well as any third party input who shall be willing to contribute. But as for the developers, it is very essential they receive a well-defined test script so as to identify the “before and after” differences in the app. Load testing is where you check the threshold capacity of your performance. In other words it a test which checks the quantity of data or concurrent users that can cause your mobile app to collapse, crash, make it unresponsive or just reduce the speed of its performance. Website crashes on e-commerce sites like flipkart on particular sales days is an outcome of load testing shortcomings. Of Course in this case, even the site experts were not able to anticipate the amount of traffic because of which they were not fully prepared to handle the apps viability in those conditions. This simply explains how difficult the process of Load testing can be. Every device is different and your app user experience as imagined it in a different device could vary when experienced in a different device or even a different OS. Device testing could also be done via emulators which eliminates the need of every external device in the first place. Based on certain features of manual device and emulator testing one must decide which would be better for which part of the feature you are testing as both methods have its own pros and cons. This one gets easily left out as while developing complex codes and huge problem-solving apps it is easily forgotten that the medium is actually a phone and phone calls are the most important priority. The aftermath of your app after its functioning is halted by a phone call is one of the most horrifying things an app developer can imagine and must have the maturity to enable the desired corrections possible. Now let’s say you did all the ethical tests head to the top and are expecting everything to go your way but for some stupid blind reason forgot the fact that mobile apps are more hackable than ever before, your entire efforts will come down crumbling like a house of cards hitched from the lowest level. This test includes knowing how to protect your data, data flow and prevent any scopes of data leakages whatsoever. These are however the most basic threats as hackers come up with new ways to reach your mainframes as the intentions might direct them too. 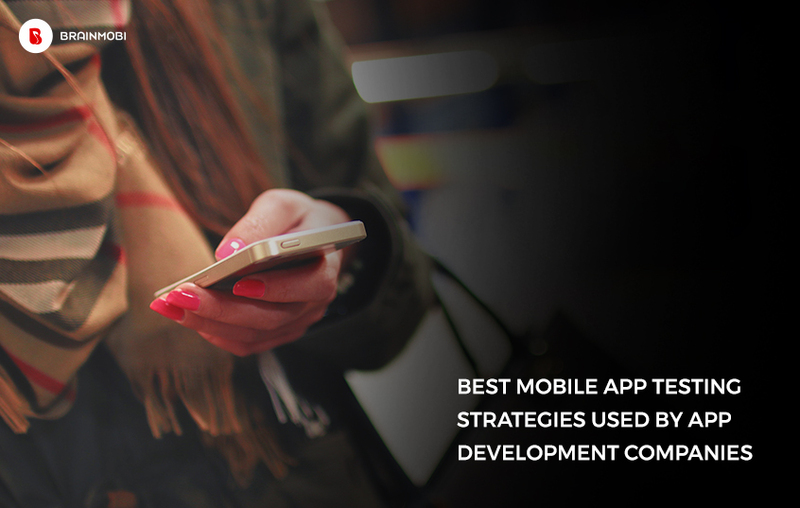 Here at BrainMobi, we have a thorough understanding of all these crucial tests and we believe it is one of the most important priorities to be implemented before labeling ourselves as one of the Top Mobile App Development Company. Send us a mail regarding your Mobile App idea at sales@brainmobi.com and we shall not let technological responsibilities get in your way. shivani Shivani derives his forte in testing and quality assurance from a rich experience. Following which she has proved to be a master of Manual, Mobile and Performance testing for various versatile projects coming from various industry giants. 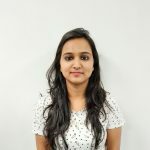 She has committed herself to all testing responsibilities for BrainMobi and has successfully implemented brilliant strategies that could be seamlessly integrated to the development routines. This way she is methods are known to be highly efficient and time saving at the same time.